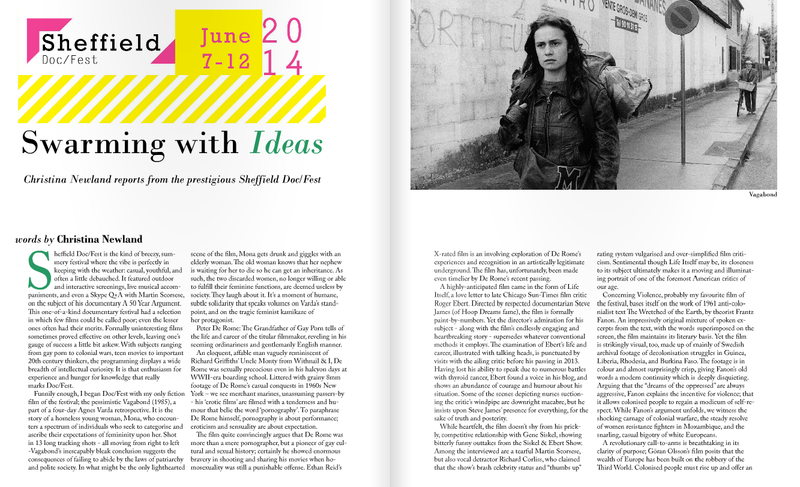 Sheffield Doc/Fest, at the beginning of last month, was a hugely enjoyable and enlightening festival experience. I got a chance to talk about some of the films I saw there for Verité, including Charlie Lyne's teen movie exploration Beyond Clueless, Steve James' heartfelt study of Roger Ebert, Life Itself, and Goran Olssen's revolutionary anti-colonialist work based on the writing of Frantz Fanon, Concerning Violence. If you want to read what I had to say on these, you can click on the above picture for a closer look or follow this link to read Verité online.